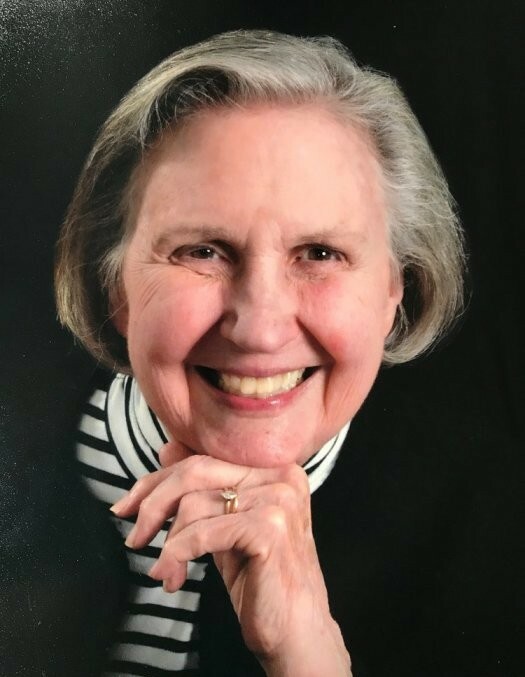 Louise Joyce Starr of Bellingham, WA, passed away on Saturday, February 24, 2018, after a long struggle with Alzheimer's disease. She died peacefully at home, surrounded by loved ones. Louise (Lou) was born on March 4, 1935 in St. Louis, the first of three children of Myra and M.G. Joyce, a Methodist minister. She attended high school in Sikeston, MO, and Central Methodist College in Fayette, MO, where she was a pre-med major. She attended medical school at the University of Tennessee, Memphis, where she met her first husband, Bill McCullough. Lou left medical school after three years to devote herself to her new family. They spent the early years of their marriage in New Orleans, where Bill completed his medical residency. Lou had many fond memories of the six years she lived in New Orleans - she formed lifelong friendships, developed an interest in politics and social justice, and survived Hurricane Betsy. She also learned to play bridge, parlaying her high intellect into a shrewd hand of bridge. Eventually, she obtained a Master's in Social Work from the University of Tennessee, and followed her true calling, which was providing counseling to those in need. She was a therapist for many years at Family Services/United Way and Lakeside Hospital in Memphis. Prior to the passing of her second husband, Jason Starr, she lived in Los Angeles and Taipei, Taiwan. She continued her social work practice at the Whatcom Counseling and Psychiatric Clinic in Bellingham, and she had a private practice for several years in Bellingham before retiring. Lou was an accomplished pianist and shared her love of music with all who knew her. Volunteering with the Bellingham Festival of Music brought her great joy, as did travelling the world, playing her baby grand piano, gardening, following politics, volunteering with MoveOn.org, being an active member of her church, and eating a Dairy Queen Blizzard®. Lou was a candidate in the 2016 presidential election, with her daughter, Beth, casting her write-in vote for Lou as president. Above all else, Lou enjoyed spending time with her beloved husband, James (Jim) Bradshaw, whom she met at the First Congregational Church of Bellingham. Lou and Jim spent many happy years together, enjoying music, friends, and family. Lou provided her family with a multitude of gifts, including intellectual curiosity, humor, compassion, generosity, and a passion for music. These traits shine through in her grandchildren. Survivors include her husband, Jim, of Bellingham, and her children, Amy Jungwirth of Covington, TN, Bill (Erica) McCullough of Larkspur, CA, and Jeanne (Andrew) Lewis of Arlington, VA. Lou is fondly remembered by her grandchildren, Nick, Alexandra, Joseph, Andrew, Kathryn, and Abby, and by her sister, Carol Joyce, sister-in-law, Anne Joyce, and her nephews Scott, Todd, and Adam. She will also be missed by her stepchildren, Lynn (John) Meakin, Rick (Diane) Bradshaw, Laura Reed, Paul Bullard, and Karen (Nat) Bullard. Lou is preceded in death by her daughter, Elizabeth Wilkinson, and her younger brother, Glenn Joyce. A memorial service was held on Friday, March 30, 2018 at the First Congregational Church of Bellingham, WA. Contributions in memory of Lou may be made to the Lighthouse Mission Ministries at thelighthousemission.org, the Alzheimer Society of Washington at alzsociety.org, or the First Congregational Church of Bellingham at fccb.net. A private family burial will be held on Monday, February 4, 2019 at Walnut Ridge Cemetery in Fayette, MO. Local arrangements entrusted to Carr-Yager Funeral Home, Fayette, MO.